8th day of February 1907 Susan E. Conner filed a Widow's Pension Application where she states that Richard H. Conner died October 24, 1906 in Conecuh County Alabama. It also stated that Richard was a member of Company B, 6th Alabama Infantry Regiment and was listed as a Carpenter on the Confederate Rolls. His Confederate Unit constructed structures, as needed for the Confederate Army. It stated Susan E. Conner also made the statement that he had fallen from a Tower he was building for the Confederate Army and was left with a limp and a serious "Hip Injury." Later on in years he could not walk at times due to this injury. It states, Susan E. Conner was formerly on the 3rd Class Pension Roll of Conecuh County, Ala. Pension Roll #28841 on November of 1913. She was removed from the Pension Rolls by the Alabama State Board of Pension Examiners due to the board not being able to locate the Confederate Records of her husband Richard H. Conner. Pension Application filed by Susan E. Conner, in Conecuh County, Alabama on July 6 1915 for the Reinstatement of her Pension, as a Widow of her husband Richard H. Conner. 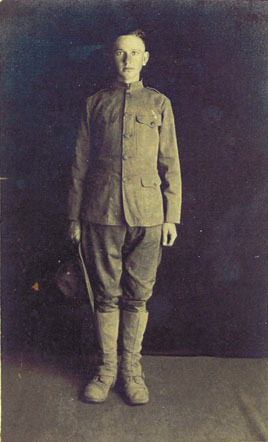 Her "Request for Reinstatement" was given on the 6th of 1915 and has credible persons of witness, who state what Confederate Unit Richard H. Conner served in. M. C. Kirkland, a Confederate Veteran states that Richard H. Conner served as a Private in Company B 6th Alabama Regiment. There are also two other credible persons who witness and sign the Application. I believe M. C. Kirkland was a Pastor of Cedar Creek Baptist Church. Susan E. Monroe also states she was born on the 2nd day of April 1829. On the 6th of July 1915 she was "Reinstated" by the Board of Pension Examiners and given 3rd class pay of 97.60 per month as a Confederate Widow. By John Parker, witnessed by A. J. Armstrong and Harriet E. Monroe. Correspondence from Don R. Jones, P. O. Box 36, Sherwood TN 37376, to Lew Griffin, 13 Jul 2005. Haigwood, Jackson, Alabama; Roll: 21; Page: 9B; Enumeration District: 37. LDS FamilySearch, Intellectual Reserve, Inc..
Willie E. Culpepper, Son, M, 9, S, LA LA LA. ED 5, sheet 12, line 20. Willie E Culpepper, White, born 1921 in Louisiana; Resides in Grimes Co., TX; Enlisted 16 Nov 1942 at Tyler, TX in the (Unk Branch) as a Private; Education: 1 year of high school; Occupation: Tractor or Truck Driver, Single; Height: 67 in., Weight: 150. E-mail written 28 Sep 2007 to Warren Culpepper from Marsha Brandt Culpepper Barkley, Henderson, Nevada, e-mail address. Bobbie Kenneth Culpepper, Male, born 5 Jul 1934 in Navarro Co., Texas, child of Thomas Culpepper and Ida Bell Franklin. E-mail written 2009-2011 to Culpepper Connections from Chatty Proffer, e-mail address. Elaine Franklin Giddens and Johnnye Carlson (Editors), Franklin Family Researchers United - Volune 4, El Campo, TX: Franklin Family Researchers United, October 1992. Page 58: "William Henry Franklin (born 9 Feb 1856 Catahoula Parish, Louisiana - died 31 Jul 1930 Caldwell Parish, Louisiana) married Cynthia Temple Ware 30 Jan 1878." E-mail written Jul 2012 to Warren L. Culpepper from Stephanie Williams Spangler (#63576), e-mail address. Bobby Culpepper, Male, died 15 Aug 1975 in Harris Co., TX. 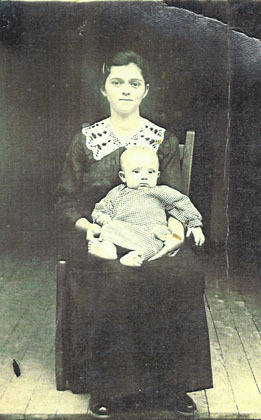 Ida Culpepper, Female, died 30 Aug 1977 in Henderson Co., TX. Cynthia Gladys Culpepper and Kimbrough Nicholas Loggins are the parents of Debra Lynn Loggins, Female, born __ 1957 in Brazoria Co., Texas. Cynthia Gladys Culpepper and Kimbrough Nicholas Loggins are the parents of Kenneth N Loggins, Male, born __ 1935, Evelyn Rosemary Loggins, Female, born __ 1943, Glenda Ann Loggins, Female, born __ 1946, and Sharon Lee Loggins, Female, born __ 1952, all in Grimes Co., Texas. Avis Culpepper and J C Satterfield are the parents of James Clayton Satterfield, Male, born __ 1936, and William Talmadge Satterfield, born __ 1938, both in Navarro Co., Texas. Mattie Avis Culpepper and J C Satterfield are the parents of Patricia Ann Satterfield, Female, born __ 1942, and Peggy Lynn Satterfield, Female, born __ 1947, both in Henderson Co., Texas. Thomas A Culpepper, White, born 1917 in Texas; Resides in Somervell Co., TX; Enlisted 11 Oct 1940 at Fort Worth, TX in the Infantry as a Private; Education: Grammar school; Occupation: Automobile Serviceman, Single; Height: 71 in., Weight: 170. Obituary of Nina Culpepper, published 23 Oct 2007 in The Meridian Star. E-mail written Jan 2014 to Warren L. Culpepper from Riley T. Lively, e-mail address.